Thank you so much for making me feel extra special! In order to complete the award process, I must tell 10 things about myself. I do not want to be selfish though, so I am telling things about me, the Mr., Mrs., Boy & the grouchy old ladies! 1. When I was pulled from the pound, they thought that I was an old man. 2. My favorite way to sleep is hugging someone’s back & tucking my head into their hair/neck. 3. The Mr. used to play bass in a band called the Connie Dungs. 4. The Mr. had not had a dog since becoming an adult until Annie & Chloe came along. 5. The Mrs. referred to herself & her husband as Mr. & Mrs. when she started the blog, because she thought it was funny. They are not the type of people who go by Mr. & Mrs.
6. Around 9 years ago, the Mrs. started having health problems & at the suggestions of family, she had an allergy test performed. Guess what?! She is allergic to cats & dogs. The dr. suggested she find homes for her animals (insert maniacal laughter), but she takes medicine to combat the symptoms instead. 7. The Boy is the only vegetarian in the household. Although the Mr. & Mrs. support him, they have not yet made the change themselves. 8. The Boy is going to take me with him when he moves out, but since he is only 14, I have a long time to enjoy life here. 9. Annie is the only dog that the Mrs. has had since puppyhood. She fell out of the back of a truck that was in front of them & the rest is history. .. . Chloe once got stung by a nest of bees. Ginger (RIP) had just stuck her head down in a hole & sneezed (she too had allergies). She knew enough to RUN, but poor Chloe did not. I hope you enjoyed reading a little about us. 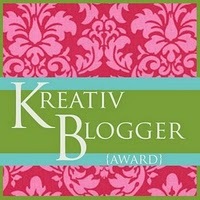 I am also passing this award along to 5 of our favorite blogs. Please check them out if you have not already! P.S> The Mrs. is now off work for Christmas (YAY!! ), but the home computer is super slow & she will not be able to comment on any blogs until after she gets back to work. Dear Pauley - what a wonderful family you have - so happy the Mrs. cares for herself and her allergies so you can all remain together. Oh, my, goodness - thank you for the Liebster Award! You are so gracious - I am in the middle of a work stint so will complete the "rules" for the award tomorrow. Such an honor! Have a wonderful Christmas; I get to wear my Christmas sweater to work tonight :). Wow - just catching up from after the holidays and saw this post. Thanks SO much for the recognition! It is most appreciated from a blog we so admire. I loved reading all the little tidbits. That makes this award so much fun. Interesting to hear the Mr. was in a punk band - will be checking that wiki entry in a bit more detail once I'm caught up on bloggie-type things. congratulations on your award and thank you so much for passing it on to us! That's the best "about me" list from a blogger I've read - another reason why you deserve an award! ... Will you let us know if the Connie Dungs ever play on the west coast? Congratulations on your award, and I'm glad that you passed it on to Life with Desmond; they've passed it on to our blog, and without that chain, I might not have found this adorable page! I'm looking forward to your future posts and keeping in touch. Mr. , Mrs. , the boy, and of course you all sound like a lot of fun!